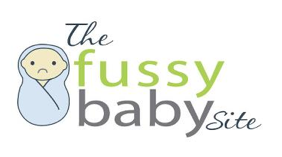 Having run The Fussy Baby Site for 5 years, I’ve had loads of opportunities to talk with parents, experts, doctors, and even some post-fussy kids. Over that time, I’ve been paying REALLY close attention to the possible causes of colic, fussiness, and ‘high need’ behaviour in babies. Throughout this time, I’ve been taking careful notes, hypothesizing, testing, and correlating. Since I have sort of an insider’s view on the whole situation, I have a unique, one-of-a-kind perspective. This means I have answers that not even doctors, midwives, or psychologists have. And now, after 5 long years, I’ve done it. I’ve found the causes of not just colic, but of fussiness, high need behaviour, AND the spirited temperament. Just be forewarned: Your baby’s fussiness may have it’s roots in all of these causes, or just one or two. Let me guess: Most of the time when your baby cries, you pick her up, right? And, when she seems hungry, you feed her? And although some will be shocked and horrified at this, I know it to be true, 9 times out of 10: You assist her in falling asleep. Whether that’s rocking, holding, carrying, bouncing, or using white noise, it’s all the same: If you teach a baby that you’ll always be there for her, and actually HELP her with things, she’ll learn to DEPEND on you. And is that what you really want? I mean, he had 9 months of complete dependence in the womb, now it’s time he starts pulling his weight and starts practicing independence. Coddle him now, and before you know it, he’s 15 and still living at home. I know you’re probably saying, ‘but I just fed him for 45 minutes straight’. But it’s a little known fact that babies need to be fed ALL DAY and ALL NIGHT long. If you should find yourself NOT feeding him at some point of the day, know that you SHOULD be. And if for some reason you feel like you “can’t” (eg. Because you’re “sleeping”, or “using the bathroom”), know that you should feel guilty about it. There’s a common misconception that kids can only start having temper tantrums around the age of 2. But I mean, it’s so obvious: your baby is screaming, kicking, scrunching up her fists, her face is bright red. You tell her to stop crying, and what does she do? She completely disregards you, and keeps crying. Do we let an 8 year old get away with that kind of misbehaviour? Then why do we let an 8 day old? No, instead we pick her up, try to calm her, soothe her, do whatever it takes to HELP her (see #1, spoiling). This is closely tied to #3, infant temper tantrum. Kids have tantrums to get attention, and to get what they want. So if your baby, for instance, has a wet diaper, he cries in an attempt to manipulate you into changing his diaper. Or let’s say he’s hungry. Instead of crawling over to the fridge to get his own bottle, he cries and even screams until you feel so much pressure to get the bottle yourself that you cave, and do it for him. So don’t tell me babies don’t manipulate! Once again, this is closely tied to #1 (do we see a pattern emerging here?). 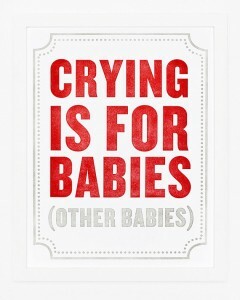 Babies always respond really well to Crying it Out (otherwise known as CIO). So if you’ve tried it and it didn’t work, don’t give up! You can’t assume just because you’ve tried it consistently for several months that it’s not going to work for your child. Because it DOES work. Always. So what does that mean for you? If your baby is ‘fussy’ or ‘colicky’ and you haven’t let him cry it out yet, there’s an 80% chance that doing so will cure your baby. So go try again until it works. Some people think babies grow in ‘spurts’. There’s this idea that babies grow through periods of rapid growth at certain ages, like at 6 weeks, 3 months, 6 months, etc. Isn’t that silly!? Do plants grow in spurts? Do animals grow in spurts? Of course not! Living things grow continuously. So knowing this, is it any surprise that some babies fuss extensively because they’re in a constant growth ‘spurt’? They’re always growing, therefore they’re always fussy. It seems so obvious, I’m surprised no one has thought of this before. Friends and family may have asked you in the past, ‘Oh, is he teething?’. The signs are all there: the drooling, the fussiness, the grabbing at the mouth. And, as in #5 above, growth spurt, do you think that teeth grow in spurts or continuously? That’s right, continuously. 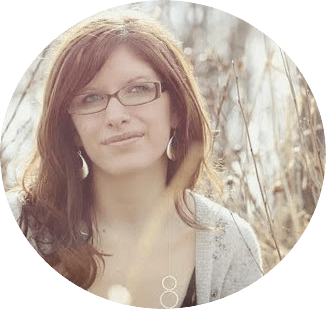 Does colic come in spurts? No, it’s continuous (well, some say it only comes in the evenings, but they’re making that up). Teething is continuous. Now I know some of you might be saying, ‘But I have 9 other children and I don’t FEEL anxious!‘. But just because you don’t FEEL anxious doesn’t mean your underlying, subconscious anxiety isn’t being passed to your child. Remember how that one time she got the sniffles and you started wondering if she might have a cold? And remember how you felt a bit concerned? Well your baby sensed that fear, and in an effort to rid herself of that negative energy, she began fussing and crying regularly. So instead of continually looking for the cause of your baby’s fussiness, perhaps you should be looking at the cause of YOUR anxiety? You know how when you go out, your baby is a perfect angel? How she smiles, and coos, and bats her little eyelashes adoringly at everyone who looks her way? Well, I ask you: What’s more likely? That your little one is ACTUALLY fussy at home, and an angel in public? Or that she’s actually ALWAYS an angel and you’re just imagining the fussiness? I hope the above list has been helpful. Something to always keep in mind is that all babies are fussy. REALLY fussy. Some parent won’t admit it, but ALL babies have trouble sleeping and feeding, and all babies fuss and cry most of the day. Screaming like he’s being prodded with a branding iron, projectile vomiting entire meals, waking up a dozen times a night, and crying continuously when awake. This is normal infant behaviour. So don’t go thinking you’re special or that you’re baby is fussier than other babiest! All babies have needs, lots of needs. Therefore all babies are high need. And now that we know the true roots of colic, fussiness, high need behaviour and the spirited temperament, we can do something about it. We can fix it, once and for all. P.S. If you’ve gotten this far, I’m guessing you’ve figured out that this is all tongue in cheek. What other annoying comments have people to made to you to help you ‘fix’ your baby’s fussiness? The Aftermath of Colic: Are You ‘Over It’?